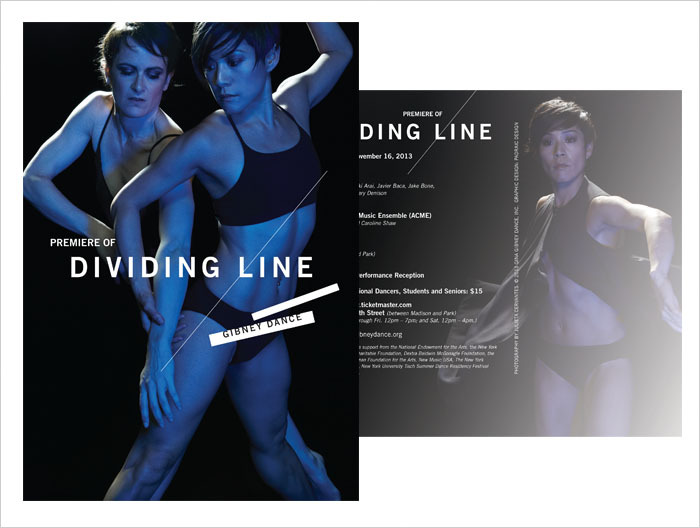 Dividing Line by Gibney Dance in NYC was a world premiere of a new dance performance by world acclaimed choreographer, Gina Gibney. 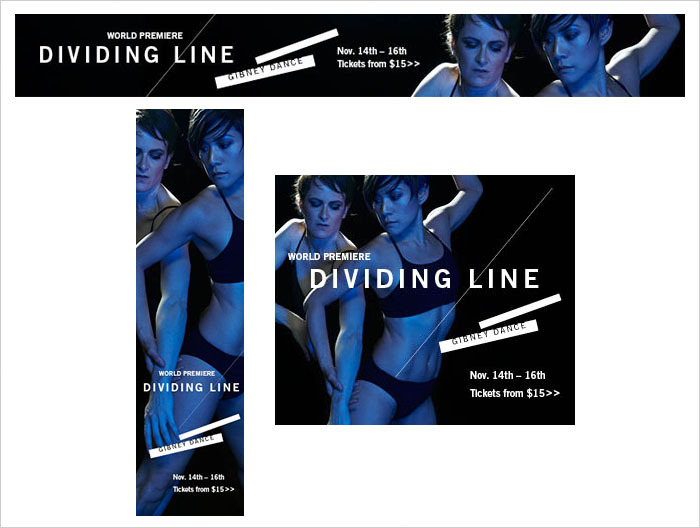 She asked Padraic to brand the event and integrate a logo with the existing photography. 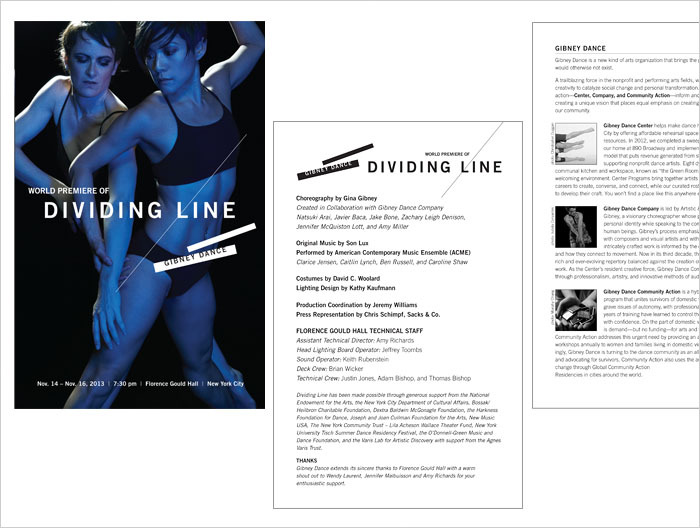 The brand was used in postcards, posters, programs, e-banners, e-blasts, and on their website.